Shidoin is certification granted to an instructor who has had yondan for at least 1 year, and is a regularly scheduled instructor at the dojo. It is usually given only to the Chief Instructor, and the appointment of more then one shidoin in a dojo will be reviewed as to its necessity. A Shidoin may test up to and including 1st kyu alone. In order to test a student for shodan and nidan rank, there must be at least 2 Shidoin on the testing committee. Sandan and above must test in front of a Shihan. 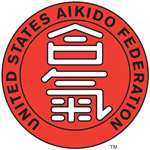 SHIDOIN CERTIFICATION IS DOJO-SPECIFIC AND IS DETERMINED BY THE CHIEF INSTRUCTOR OF A DOJO. THE CERTIFICATION DOES NOT TRAVEL WITH AN INDIVIDUAL IF THEY RELOCATE TO A NEW DOJO. In order to apply for Shidoin, the applicant must be recommended by either a Shidoin or Shihan. The purpose of this title is to grant the Chief Instructor of a dojo the ability to test his or her own students and therefore to promote growth within the dojo. It is not a reward, given solely on the basis of rank, and will not be granted for that purpose. This teaching certification will be awarded only on an as needed basis. The status of all applying and renewing shidoin is subject to review by the Technical Committee. In order to maintain certification, Shidoin must attend one major seminar each year and attend the class for instructors that may be offered at that seminar. In addition, they must attend a second seminar taught by a member of the Technical Committee in the same calendar year.